Lakshmi Manchu attended Soundarya Rajinikanth and Vishagan’s wedding wearing her mom’s Kanjivaram saree paired with cream color zarodzi embroidered blouse. Statement polki choker by Birdhichand Ghanshyamdas Jewellers, gold potli bag and a center parted braid decorated with flowers rounded out her look! 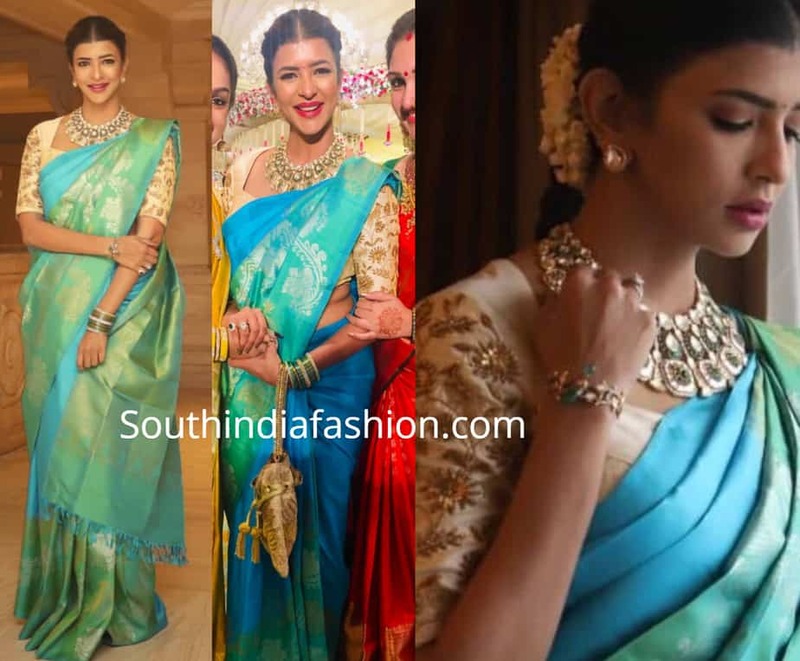 The post Lakshmi Manchu at Soundarya Rajinikanth’s wedding appeared first on South India Fashion.